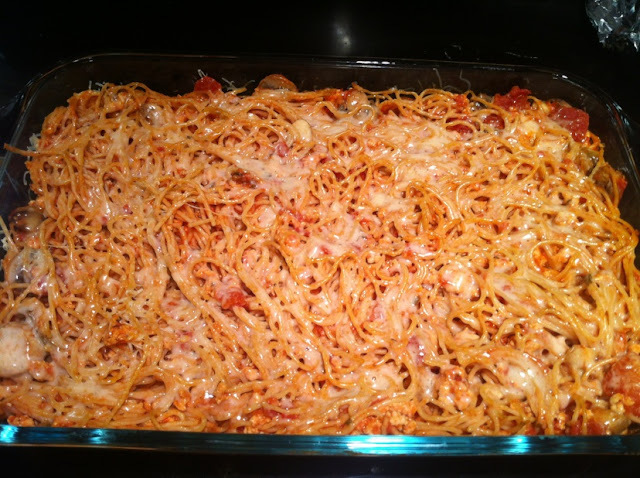 I can't believe I haven't posted this recipe yet! I like to make this recipe at the beginning of the week so then we have leftovers to feast on for the rest of the week. 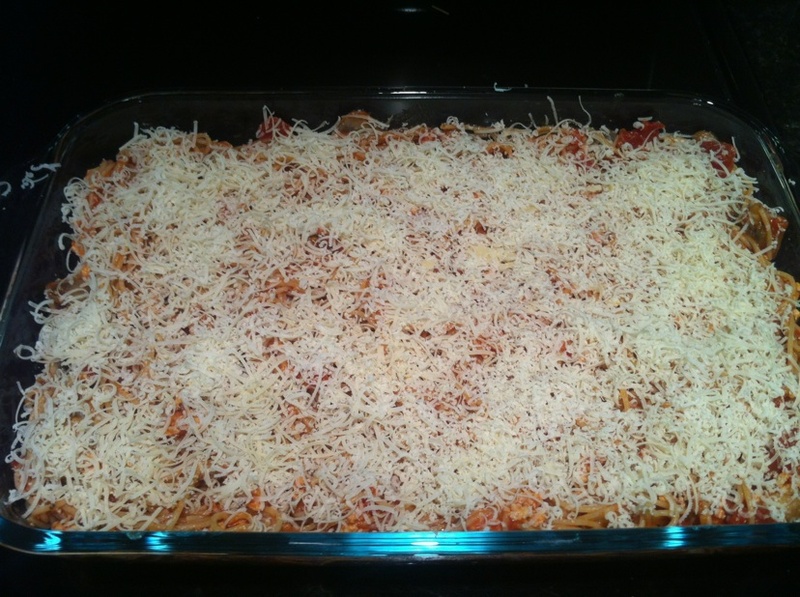 This is also a great casserole to make for someone who is sick if you want to bring them dinner! ***Tip-You will have to buy a 16 oz. package so make sure you only use half the box otherwise double the recipe if you use the entire package. 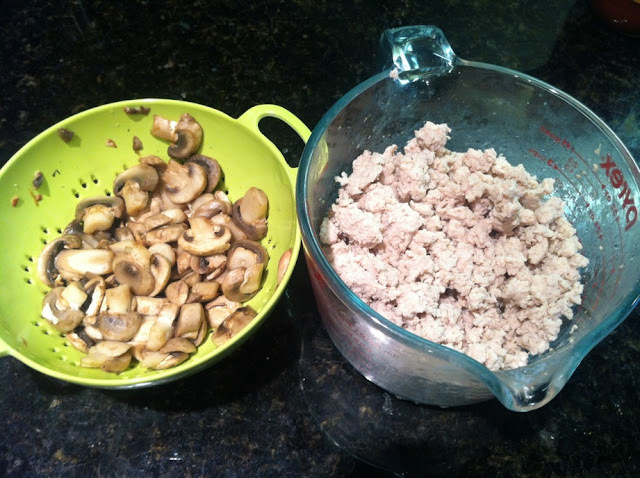 Place mushrooms in pyrex cup with garlic salt and heat in the microwave for 3 minutes. Drain any water that may have accumulated after the mushrooms cook. 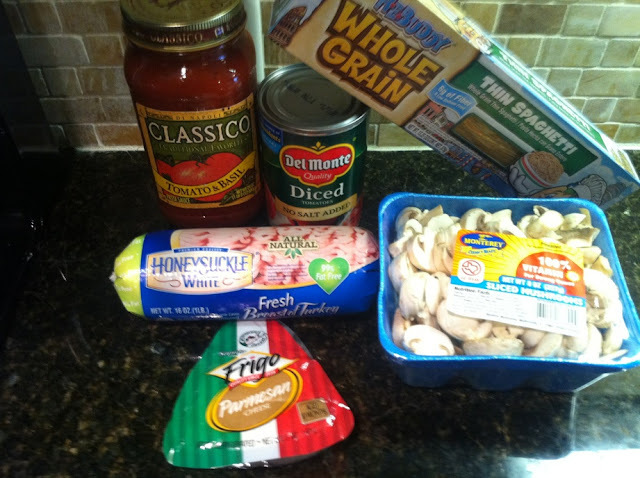 Pour off grease into an empty container (do not put the grease down the sink drain). Cook spaghetti according to the package directions. 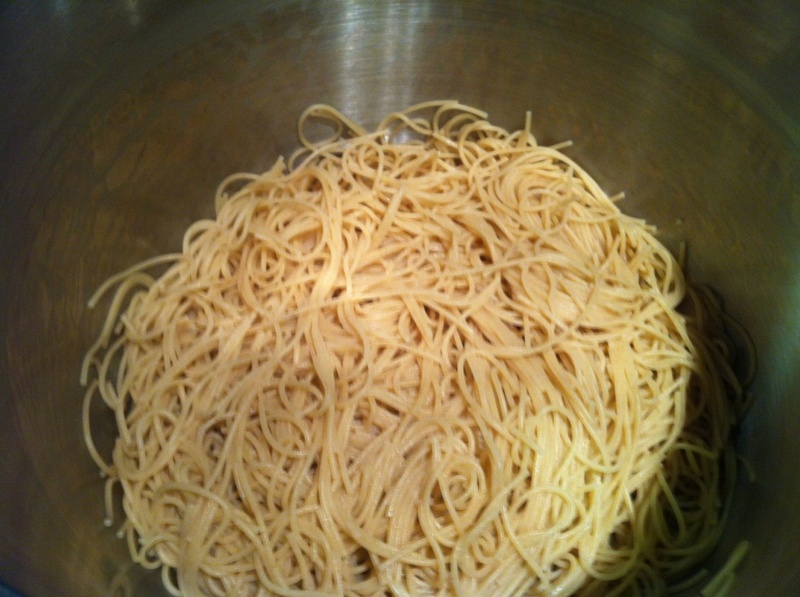 After the spaghetti cooks, drain the noodles in a colander (rinse in hot water to get the starch off). Put the drained noodles back into the hot pan. 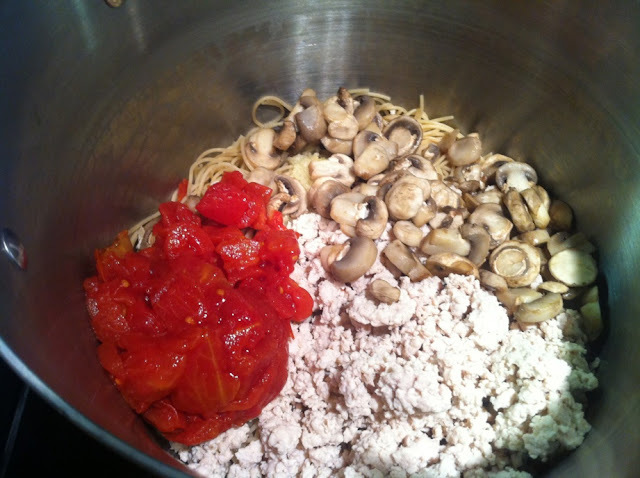 Add cooked ground turkey, mushrooms, fresh garlic, can of tomatoes, and spaghetti sauce. Mix thoroughly. Be careful though because if it splashes on you it is the worst stain to get out! Pour the spaghetti into a pyrex casserole dish and garnish with parmesan cheese. Cover with aluminum foil. Bake at 350 degrees for 30-45 minutes, keeping it covered so it stays moist! Enjoy! 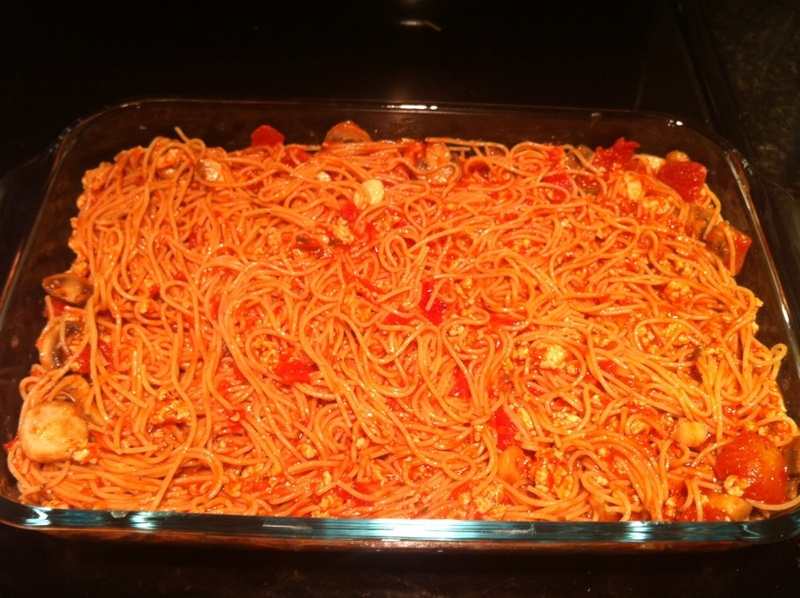 I like to serve my spaghetti casserole with a fresh garden salad and garlic toast!